Brittany's Book Rambles: Guest Post with Kristen Simmons, author of The Glass Arrow! 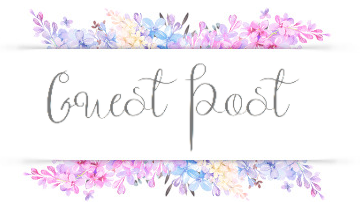 Guest Post with Kristen Simmons, author of The Glass Arrow! 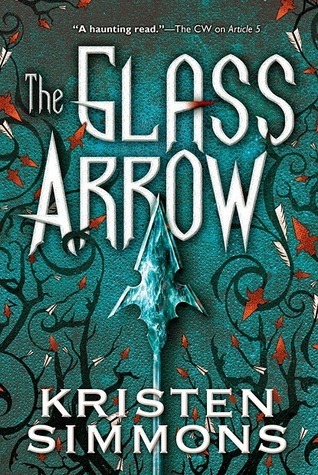 Hey everyone, today Kristen Simmons is on the blog with an awesome guest post in order to celebrate The Glass Arrow now being available in paperback! I hope you enjoy it! People often ask me if I think the worlds in my books could actually happen—if a moral regime could take over, eliminating the Bill of Rights, like in ARTICLE 5, or if women could lose their rights to their own bodies and independence, like in THE GLASS ARROW. Readers always pose this as a futuristic issue, and I understand why. I write speculative stories. Dystopian, end-of-the-world-as-we-know-it stories. They’re fiction. I made them up. The only thing is, I don’t see them as fiction. At least, not entirely. To me, speculative fiction is just a lens in which I view the world—the current world. Not everyone can turn on CNN and make immediate sense of what’s going on out there. Sometimes seeing the issues people face—war, devastation, loss of rights, racism, and misogyny, to name a few—aren’t so easy to process. Sometimes it’s all we can do to say, “ That’s awful,” and then go about our normal day. But these things are happening, and if we don’t talk about them, if we don’t understand them, they fester. Or worse, we become numb to them, and just accept that this is the way the world is. I learned pretty quickly when I was young that I understand the world differently than many people. I’m a reader. I’m the type who gets absorbed in a story. I become characters, and have their adventures, not always with them, but as them. Because of this, when things were difficult, I imagined myself handling life like my favorite heroes and heroines. I still remember being in college, homesick and alone on an exchange program, telling myself I had to carry the ring to Mordor before I could go back. It’s funny now, but it totally worked at the time. It’s not new for me that when things come up in the real world I turn to my imagination to make sense of them. When I started writing, it became cathartic for me. A way to understand the things I couldn’t. So no, I don’t think the world of ARTICLE 5 may someday happen. For me, it’s happening now. Writing that book was how I made sense of a world where people lose their healthcare rights because of who they love, and get punished by the government for having a child out of wedlock. Writing GLASS ARROW helped me process what it was like being a girl, growing up in a society where women are valued on how they look, not how they act or what they know. Although PACIFICA, my next book, is about a pirate girl and the son of the president, searching the futuristic, trash-filled ocean for their missing friend, it helped me understand things I couldn’t otherwise make sense of, like racism, and classism, and the idea that it’s somehow okay to put people on registries and send them packing just because of what they look like or believe. But in my stories, something else happens. My characters navigate these worlds as I navigate this one, but they fight the powers that oppress them. They strive to break free from tyranny and do the right thing. A resistance forms in ARTICLE 5, and Ember and Chase decide they can’t stand by any longer—they need to fight back. Aya in THE GLASS ARROW reclaims her worth as a woman, a person, and recognizes she’s so much more than the labels other people put on her. In METALTOWN, Colin fights for Ty, who has nothing, even if it means taking on men with more money and status than he’ll ever have. And in PACIFICA, Ross and Marin realize the bridge between people of different backgrounds isn’t just helpful, it’s necessary. That they need each other to survive, the way we need each other to survive. These stories aren’t just my way of processing, they’re my way of not idly standing by. They’re how I fight back. FTC Disclaimer: Giveaway provided by Saichek Publicity, the people of Brittany's Book Rambles did not and will not receive any kind of compensation for this post. I LOVE the cover for this one! It is absolutely gorgeous. This sounds really different and interesting. Thanks for sharing! The cover is amazing, and I hope you check it out. I also highly recommend Metaltown! What a great guest post. I'm not familiar with Kristen Simmons' novels but hearing her describe the books she writes as her way of fighting back really makes me want to read them all! I'm glad you enjoyed it, and definitely check out Kristen's books because she's amazing! Make sure all of her books are on your TBR ASAP! Thanks for this giveaway and post! I have not heard about this book before, but it sounds like something I should check out! Same here, girl! But I'm sure it's going to be great especially since I loved her other book Metaltown. This is definitely on my reading list. Wow! This book will make me emotional as I read it, based on the synopsis. I'm huge into women's rights. Amazing post. I'm still dying to read this book, but from what I've heard of it, I think I'll love it. I'm also big on women's rights, and it seems like the author really handles that well. Thanks so much for sharing, Brittany! Thank you! I think all decent human beings are big on women's rights, otherwise they have no heart imo. Kristen is such a sweetheart, and I love her so much! I'm glad you love The Glass Arrow! 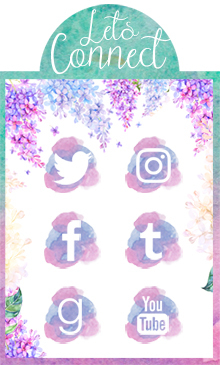 Thanks or stopping by! Sorry about that! I will have more international giveaways in the future but the decision wasn't mine this time. I love, love, LOVE Metaltown, so I hope you check it out soon! I really enjoyed this book when I read it. I need to read more by the author! Thanks for sharing this! I'm so glad to hear that! I need to read this book soon. Added to my TBR on goodreads. This is also added to my get wish list. I really think it`s a book that would be fun to read and discuss with my adult daughter and my teenage granddaughter!